- 8.6" will provide the perfect elevation. - The Aeris Wedge Pillow is comfortable to sleep on with 25" wide and 25" long curved 100% memory foam. 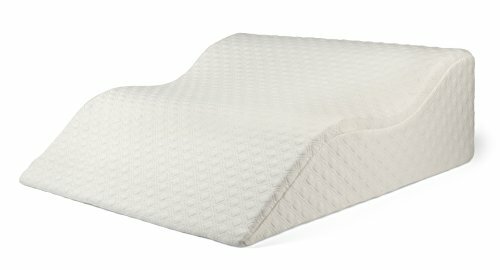 - High-quality full memory foam is used to make sure the wedge pillow provides the support and comfort you need. - You won't need to look for a replacement cover, as your cover is removable and machine-washable. When you remove the outer cover, there is an inner cover to protect the memory foam base. - Perfect for bedroom reading, watching television, and any other adult activity. The manufacturer, Addo General Merchandise, has you completely covered with a lifetime free replacement guarantee. Click the Button at the Top of this Page to Sleep Better in a Week! HELPS with GERD, snoring, poor blood circulation, conditions related to breathing problems, and back pain, thanks to its unique design and perfect 25"x25"x8.6" curved shape. If you have any questions about this product by AERIS, contact us by completing and submitting the form below. If you are looking for a specif part number, please include it with your message.